Recently we came across a few leads who were looking for better result on Amazon and other online selling platforms. As a digital marketing company, we had not done it before, but one thing was sure – Amazon, just like other online platforms is based on experiments, keywords, and testing. So we took it as a new project for ourselves and started going through the working of Amazon sponsored ads. While working on it, we got to know that some mistakes can cost you a lot of time as well as money and honestly, it’s frustrating! So we came up with a few tips that we think would be beneficial for the small sellers on Amazon to do this on their own. 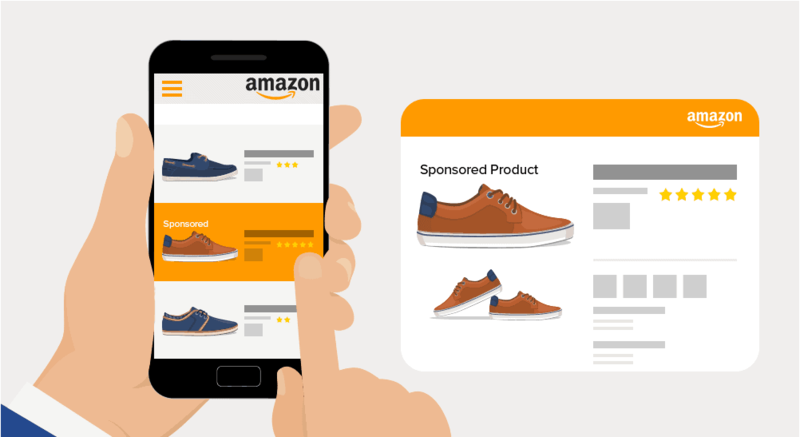 So here we present 7 easy tips for sponsored ads optimization on Amazon. Yes, you probably already know the importance of keywords, but we want to reinstate the role that keywords play in the success of Amazon marketing and Amazon sales. Amazon advertising is all, mostly about keywords, that is why it is important to be focused on it. Keyword harvesting tool should be taken seriously, especially the serious sellers – who solely rely on Amazon for selling should invest cleverly in the keyword harvesting tools. For advertising, you need to use the search terms report for sponsored products available in Seller Central. It will guarantee you the right keyword usage for optimizing the amazon ads. Once you have decided on the keywords, you need to work out the costs. You can keep the cost minimum by choosing only specific keywords to promote. How to do this? While you are setting up your ad, you get an option of 1. Broad 2. Phrase or 3. Specific for your keywords. When you choose specific, Amazon filters out all the searches that don’t contain the specific keywords that you have chosen. This proves helpful with matching an order for your search is exact. You might have a lot of products of similar kind, but being specific always helps and that’s why campaigns should be kept separate for each product for maximum sales. People always search for specific thing on Amazon. For example – If you search Men’s gym shoes on Amazon.in, you’ll get more than 6000 results, but when you narrow it down to, for example Men’s gym shoes under 1000, the results go down to 4000. Both are huge numbers but filters help. This is a technical term. ACOS means the balance between your spends on advertising and the money that you are making from sales. Many a times, the objectives are different. Sometimes it is increased Amazon profile, and other is making profit on sales. If you are looking for profit, the ACOS should be between 5% to 15%. Check how your competitors and brands in your sector are advertising. It will give you an idea on how to effectively market on Amazon. The bigger brands generally have the professionals do this job, so you can take a cue from their activities. Do not just copy blindly, but understand how things work, and then implement. Another part of it is piggybacking – using the popular brands to your advantage. But we do not recommend using it. Negative keywords help in better optimization of sponsored ads. Negative keywords are those which you want Amazon to omit from the search. Example – if you want to exclude the word discount / %off, that would be your negative keyword. Along with the product that you want to advertise, if you have any accessories or parts, or similar products, link it to that as well. Example – if you are selling camera cases, link it to the keywords of popular camera brand so when a person is buying that product, he will definitely come across your product in the suggestion. If you are just starting out with Amazon campaigns, it’s possible that you’d be confused between running a manual campaign or an automatic campaign. If you are a little higher on budget, we suggest you run both at the same time while beginning. This might involve a little more money, but it is an effective way of gauging the effectiveness of the ad sets. Later you can adjust accordingly. We hope this post made Amazon sponsored ads optimization a little easier. However, if you still have queries or want to implement this for your brand through us, write to us at collabs@theimpulsedigital.com or connect to us on Facebook / Twitter / or Instagram.